Hope You Have A Tremendous Day!!!! Happy Birthday, Al! Now you should get to charge your D5200 battery and show us some picks. 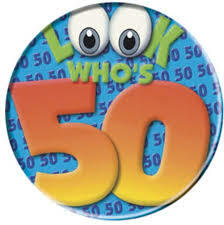 Big 5-0!!! Cheers, my friend. I'll drink a beer in your honor. I feel old in this hot weather !! Had a great party Sunday night. I know I talk a good game... but i will try to get pics through. (have emailed one to a couple...) Post it guys. Tracy, the daughter beat me to the camera yesterday and took 20-odd shots of her damn cat !! I'll have more chats at DPH about it.